If You Give a Mouse a Cookie is one of our favorite children’s books! Reading is so important at any age and we’ve decided to start a new monthly series to help you encourage your young reader! We have recipes, crafts, games, and a giveaway planned with a different book as our theme each month! 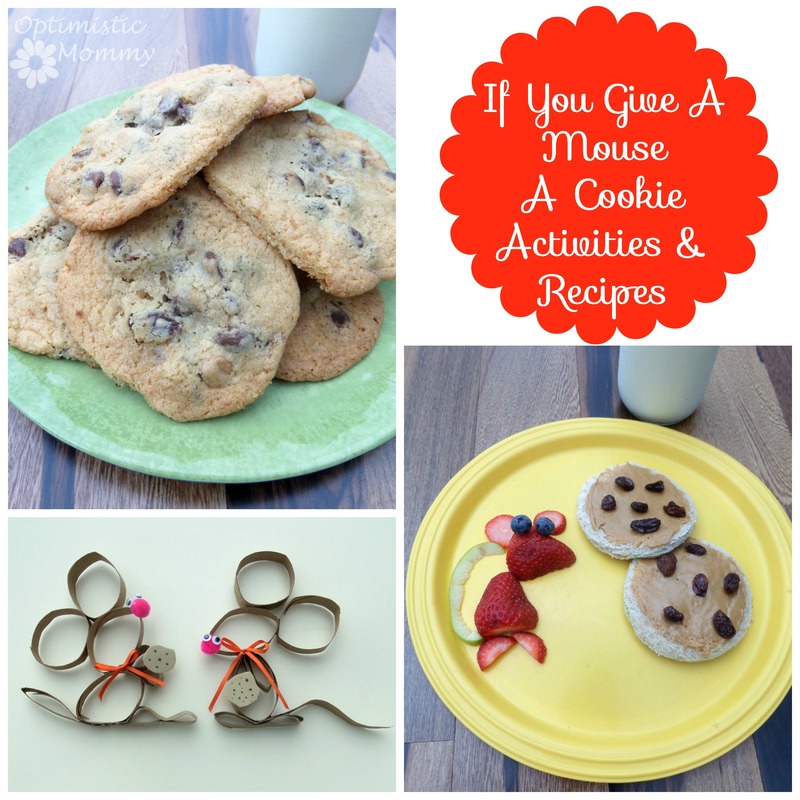 This month, we’re sharing some fun ideas for If You Give a Mouse a Cookie. First, since we never get to start with dessert, we have a great cookie recipe to get you and your young readers excited! 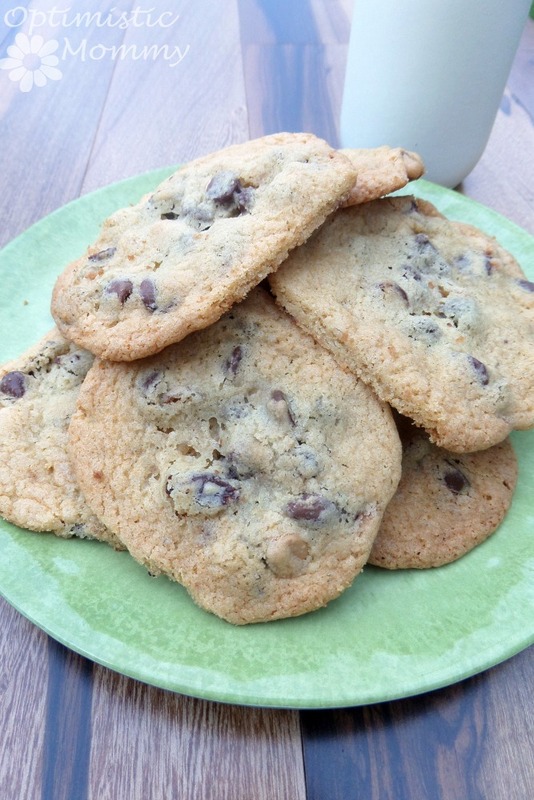 This is a gluten free, dairy free cookie recipe and it is so delicious! In a separate bowl, cream together the butter, both sugars and vanilla. Add eggs, one at a time, mixing well after each addition. Gradually add dry ingredients to the mixture. Stir in chocolate and peanut butter chips, and raisins. Spoon tablespoons of batter onto ungreased cookie sheets and bake for 9-11 minutes. Remove from oven and cool for 2 minutes on baking sheets before transferring to cooling racks. Serve warm with a glass of cold milk (dairy free if need be). We’ve also planned a healthier snack in celebration of this fun book. These open face peanut butter and raisin sandwiches look just like cookies! They are simple to make too. Don’t forget that a Give a Mouse a Cookie treat would not be complete without a mouse! Cut each piece of bread with your round cookie cutter. Spread a thin layer of peanut butter onto each bread round and top with a few raisins. To create the strawberry mouse, cut a large strawberry in half and lay on the plate to create the mouse’s body and head. Slice a second strawberry to give the mouse circle like ears. Cut a strawberry slice in half to create the feet of your little mouse. Slice a this strip of apple to create the mouse’s tail and lay it in place. Dip two blueberries in peanut butter and stick them to the strawberry head to make eyes. 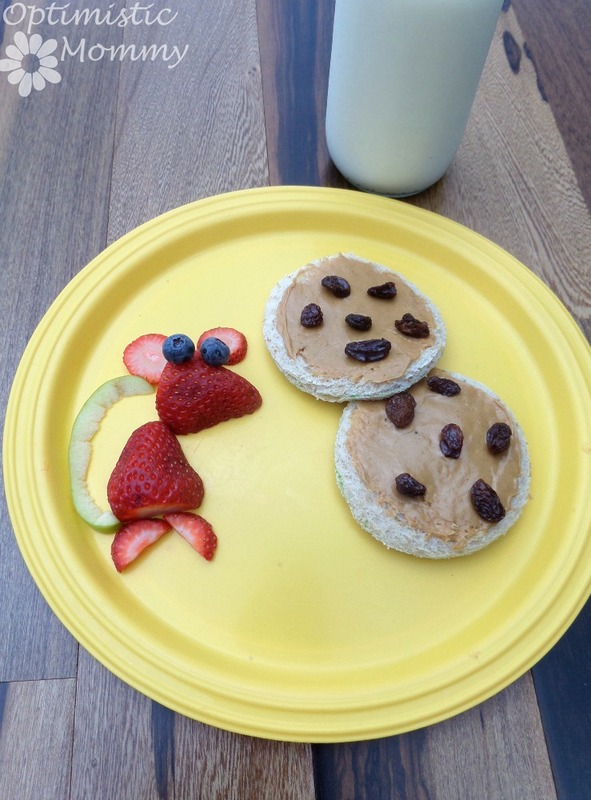 Give your mouse a cookie by placing the open face peanut butter cookies on the plate! Now for some seriously cute fun! Check out these little mice sharing their cookies!! 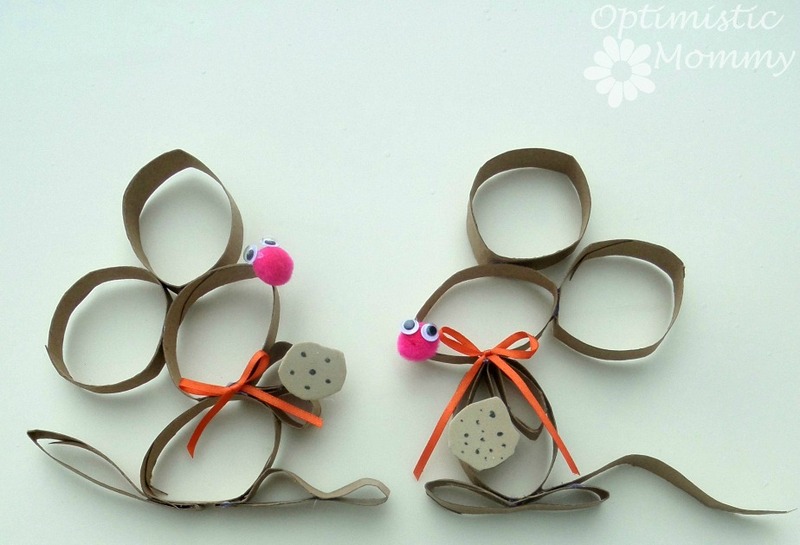 They are easy to make and will surely make a great reading pal for your young reader! Cut the toilet paper into rings approximately 1/2″ wide. You should have 7 pieces for each mouse. Pinch and shape the rings as shown. Carefully hot glue the pieces together to create your mice. Add the pom pom for the mouse nose and attach the eyes to the pom pom. Tie a small bow with the ribbon and hot glue it to the mouse’s neck. 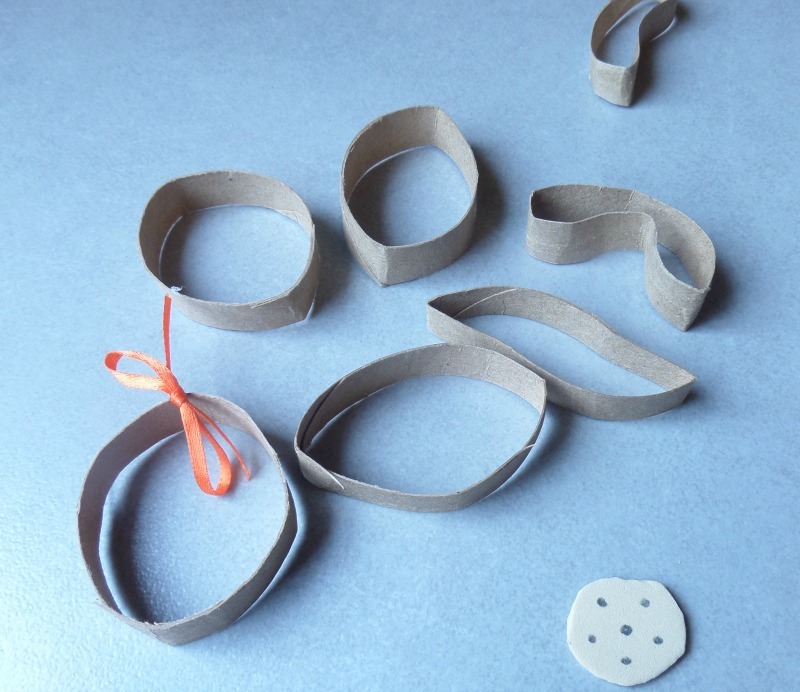 Carefully cut small circles from the tan craft foam to create cookies for your mice. Add small dots with the black marker. Hot glue a cookie to your mouse’s paw. Don’t forget – there’s going to be a giveaway each month, as well! This month I’m giving away a copy of If You Give A Mouse A Cookie as well as a $10 Amazon gift card! This giveaway is open to U.S. only and will run from now until 11:59pm EST on July 7th (my birthday! 🙂 ). Good luck to all who enter! Do you have a favorite craft or treat to encourage young readers to read? Join us next month to see our fun ideas for The Very Hungry Caterpillar! My daughter loves to paint! How completely adorable are those crafts?!!! I’m a big fan of activities related to books, so this is awesome! These are super cool! I must admit, when I think of gluten-free, I think of flat, tasteless, and gross , HOWEVER these cookies look delicious. I had NO idea that gluten-free could be delicious. Awe that is so fun! I’m going to have to pick up this book for my twins! Okay, seriously, cutest idea ever! I need to try some of those gluten free cookies! My kids always enjoyed coloring. So do I. Your little strawberry mouse is my favorite. So cute! We love this book; I gave it to my husband years and years ago for his classroom. I am so excited to be part of this giveaway. You seriously have a great idea going there and I am proud to support you. My girls love this book! It’s so cute! The crafts are adorable! Ha, ha, ha… this is so super-cute… I love it and know the kids would get a kick outta it too! This is precious! Great ideas and they look fun and easy to make! For us, the strawberry mouse and pancakes are our favorites. I loved this story! I like the Mouse Craft the best. We love reading the book If You Give a Mouse a Cookie, it’s one our favorite book. Great post. I love the open-faced sandwich idea! So cute- and looking like a cookie without being a cookie is perfect for us! Now that is cute! I love that little Strawberry mouse, so creative!!!! Great ideas! The craft looks fun and the cookies look delicous! This is SO cute, my kids would love this. I do theme lessons with them all the time too. I love that these have brown rice in them! They look yummy. I love the snack craft! So much fun in one little snack! I love your little strawberry mouse! I like the mouse craft you guys did, we liek to make things or paint things. Adorable! We LOVE “If You Give a Mouse a Cookie”! What fun activities and recipes to go with it! Thanks for sharing on Makeovers & Motherhood’s Welcome Party Wednesday Link-Up! My favorite activity is finding new recipes like the one above and trying them out with my family. Baking the cookies! 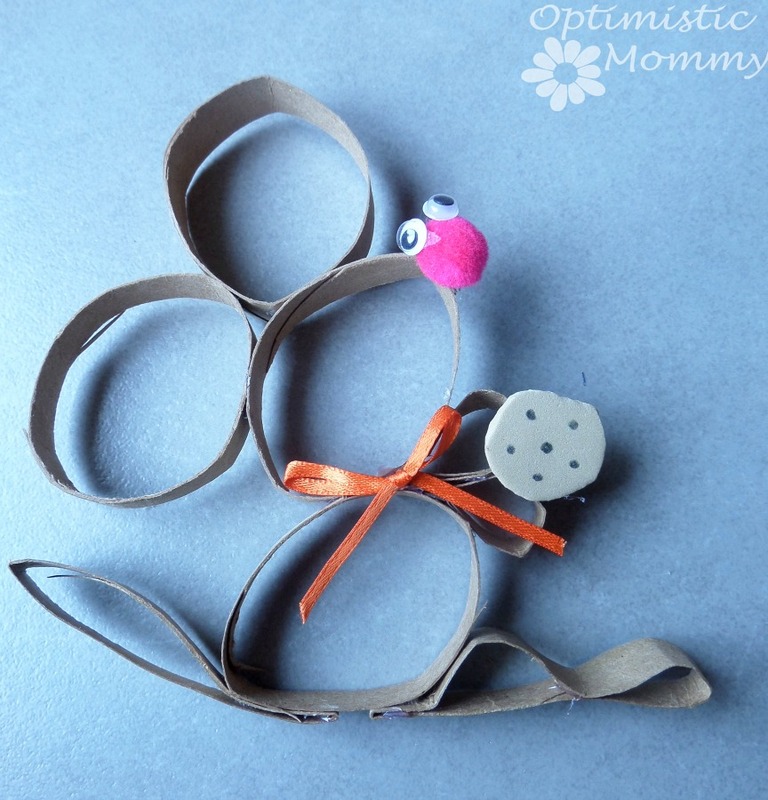 Really my oldest daughter loves making toilet paper roll crafts, so that mouse would be right up our alley.